STARTER programme ends with business and project ideas competition Kaleidoskoop. 10 best teams will compete in the finals at international business festival sTARTUp Day. Two best STARTER teams get to compete at STARTER pitching. MediBee - app for emergency rooms online queues. Pick and Drive - a web-platform which unites driving students who seek for cheaper driving lessons and driving instructors who want to earn extra money. Rosella Kunst - website which connects clients and artists. Clients can buy artwork based on a photo or an idea. Stargazing - an app that offers an opportunity to seek for the spots with the least light pollution and cloud coverage to gaze at the stars. 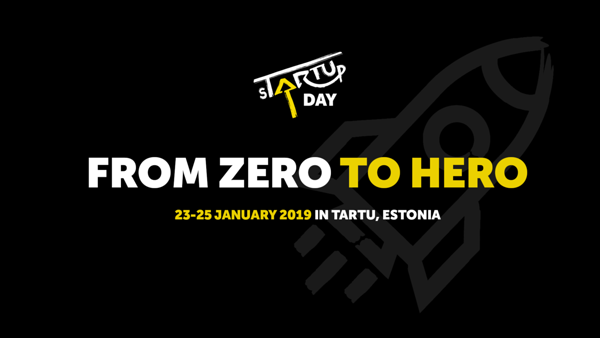 The Joy of Giving - main vision is to contribute to reducing relative poverty in Estonia by building an e-commerce website where people will be able to order their lunch and get it delivered at their doorstep. With every purchase, clients contribute to providing meals to less fortunate families in Estonia. TRIT - makes translators more visible, translation more resource efficient and placing orders easier. VEINC - is an innovative wine course for all wine lovers. It is based on subscription box service, that delivers 3 bottles of wine to your door every month, with educational information. Vetik - is helping cosmetic producers substitute the unhealthy colorants with a new red colorant, which is natural, vegan and can have skin rejuvenating properties. ViralSAT - combines satellite images with crowdsourced images of disaster events to provide better information for critical decision making. VRE - the mobile app for real estate agencies to create 360 tours faster and without any extra technology. The teams will have 2 minutes for questions from the jury. A pitch has to be in English. Up to 3 slides can be used. Send them to Riin.Lisett.Rei@ut.ee. Deadline 21st of January. Slides need to be ppt file in size 16x9 and may not contain animations (because these might not work). If more than 3 slides are sent, organizers will select 3 to put to the ppt. There is a slide with the team name for each team. * Tickets to European Innovation Academy in Portugal. * Tickets to technology and startup conference Latitude59 for a HealthTech idea. (From EIT Health). * Financial award from Tartu City Government. * 2 months free pass to sTARTUp Hub (from Contriber). * 2 best STARTER teams get to pitch at STARTER Pitching for the Best STARTER of the Year Team title.